Some of the greatest gains for children come through effective teaching practices delivered in high-quality learning environments. The Effective Practice portfolio supports effective practices within the systems and settings in which children develop and learn. 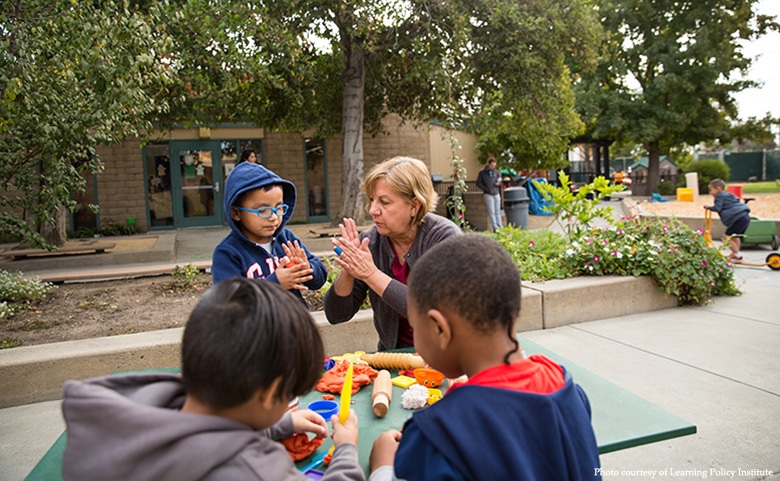 The goal of this strategy is to improve educational proficiency rates for young children from low-income families and children of color by 10 percentage points over the next 10 years in California. National work that helps advance the field is also supported. Grants in this portfolio include a major initiative around early math, as well as a continued focus on family engagement, dual language learners, and meeting the needs of the most vulnerable children. We anticipate building out additional major initiatives in all of these categories over the next several years. The Creating Coherent Early Math Instruction in California initiative aims to improve the quality of the instructional relationship between teachers and students across the earliest years of schooling, working within the far-reaching public-school system to improve its offerings in ways that support student growth towards academic proficiency by 4th grade.